What could be better than a chocolate sandwich cookie bathed in chocolate? 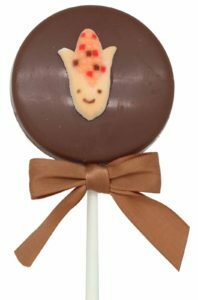 How about a chocolate sandwich cookie bathed in chocolate on a stick?! 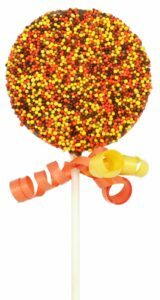 Our delicious cookie pops, adorned with a festive Fall decoration, are a customer favorite! 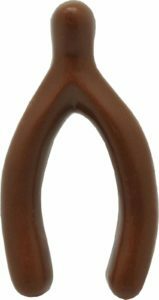 Available in milk or dark chocolate or white confectionery. Please specify flavor when ordering.